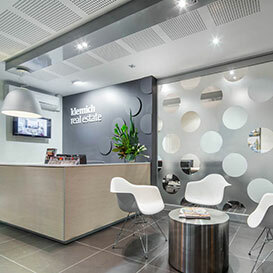 High end real estate office appointed ‘Designthink’ to revive their tired reception area. We created a separate boardroom and develop newly leased space into an additional office for rental accounts. Designthink introduced slick materials and furniture to create a timeless fit-out reflecting the clientele it serviced.